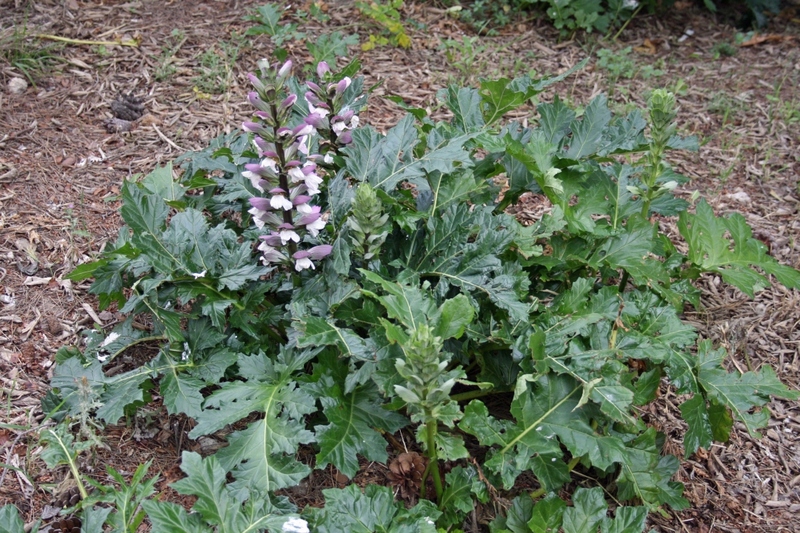 Bear's Breeches (Acanthus mollis): growing, planting, caring. Handsome plant with lobed foliage and tall, erect racemes of two-lipped flowers in the summer. 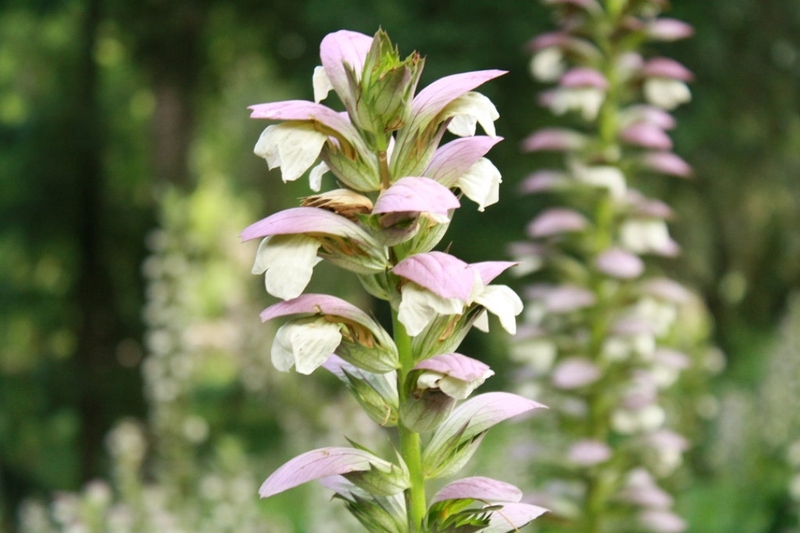 Acanthus mollis - known as bear's breeches or Sea dock, is a herbaceous perennial plant with an underground rhizome in the genus Acanthus. It is a vigorous plant with large, glossy dark green leaves, pinnately lobed and, in late summer, tall racemes of white flowers with dusky purple bracts. It is regarded as an invasive species in some locations. Bear's breeches bear large leaves with lobes that are themselves lobed, thorny or not. The flower stalks sometimes reaching two meters appear between May and August depending on the species, and bear white flowers surrounded by pink bracts sometimes thorny. Plant your bear's breeches in spring before the month of May in a draining soil, rich, in the sun in a harsh climate and semi shade in Mediterranean climate. In moist soil, they may freeze winter. Prepare your flowerbed by a digging with a pitchfork, or by an early mulching spread in the fall. Break the clods on the topsoil, before planting your bear's breeches. Handle the roots with care because they are fragile. Expect a development of one square meter. Water copiously after planting. In pots, choose a clay pot of a good diameter, at least 40 cm, fill the bottom of gravel, then add a mixture of loam, compost and sand. Mulch the bear's breeches in the spring to limit the competition of spontaneous flora. In winter mulch with the dry leaves of your bear's breeches to protect the roots from the cold. Cut the yellowed leaves from time to time. You can prune the flower stalks or let them dry on, but the seed growth will then tire the plant. Bring your potted bear's breeches inside in the fall, in a cold greenhouse, or any place sheltered from the frost. Take out your potted bear's breeches in the spring. 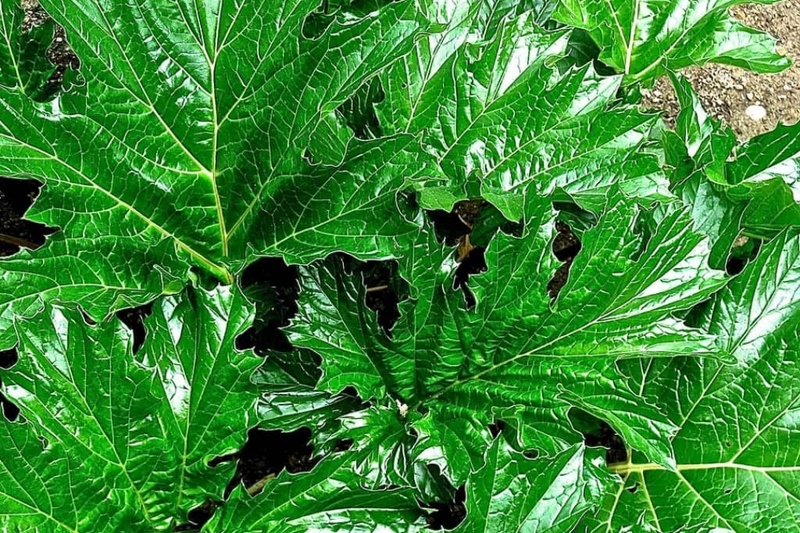 Change the top soil of your acanthus potted each year in early spring, bringing compost.